Description: Inspired by old west interiors, Durango features a Clear Glass Hurricane styled glass shade. The shade is embraced by a bobeche on a frame with hardware featured in an Oil Rubbed Bronze. 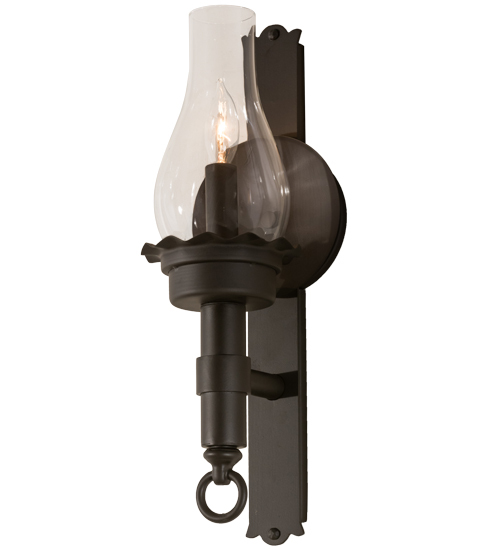 Handcrafted in our manufacturing facility in the USA, this fixture is available in custom sizes, styles and colors, as well as dimmable energy efficient lamping options. Durango is UL and cUL listed for damp and dry locations.